No Matter How I Look at It, It’s You Guys’ Fault I’m Not Popular! debuted during mid-2013. 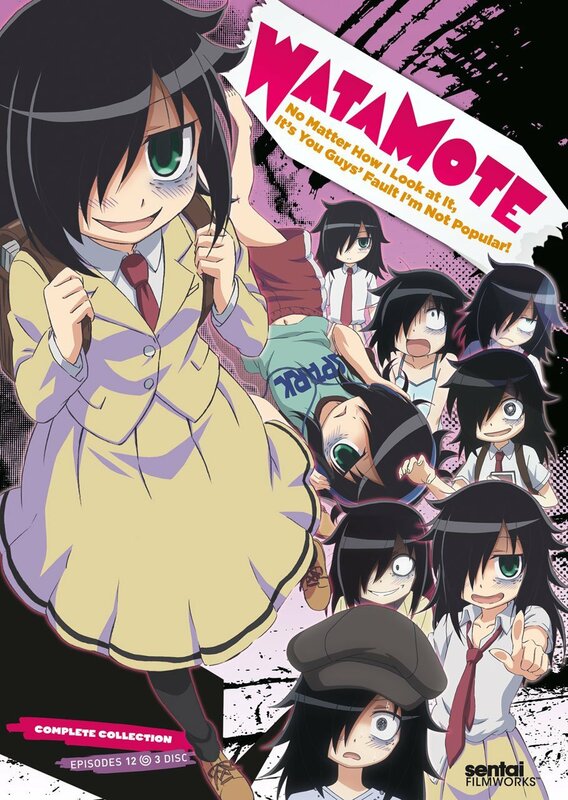 The plot centers itself around Tomoko Kuroki, A fifteen-year-old girl who is under the impression that upon entering high school she will become popular based upon her vast knowledge regarding otome games. However, she reluctantly realizes that she is a total loner with no friends and a bitter distaste for socializing. As the story progresses Tomoko tries to improve his social standing as she goes through high school life. She will be forced to take a good long look at her life and why she is such a loner, she will be forced to decide whether to have friends and be miserable, or be a loner and be slightly less miserable. As time goes on she may make friends or more likely, enemies. My Review: I have found a recurring theme that animes with specifically long names tend to be pretty funny. And this definitely plays into that trend. I found this to be, surprisingly, really funny. The way Tomoko is animated does a perfect job of expressing her emotions and really make this anime shine, it breathes life into her, making it much easier to associate with. I find that considerably impressive as well considering, for the most part, it’s just her left eye and mouth. The show is a pretty standard twelve episodes but it felt a lot longer jut because there is just so much packed into each episode, but not too much that it gets confusing and crowded with themes and concepts. I enjoyed this anime and I think people who are looking for something a little different would share that opinion. No Matter How I Look at It It's Your Guys' Fault I'm Not Popular!